This large class of New Holland Skid Steers covers nearly every weight class of skid steers and outperforms them all. These hardworking machines are nearly unstoppable on any job site, farm, or household. 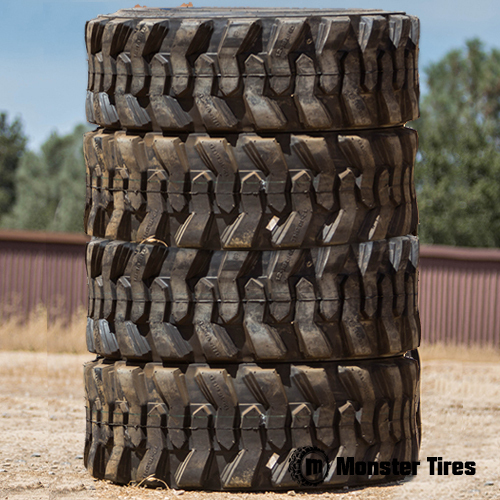 With the ability to use a variety of attachments, maneuver into tight areas and works circles around comparable machines, Monster Tires knows you can’t be held down by cracked or bald tires. Monster Tires is here to supply you with the best tires for your job site or for any industry you may be in and do it all for the best cheapest prices available. Contact Us today to get the most tire for your money, hands down.